The U.S. Food and Drug Administration reported dozens of food recalls during the month of May—with high-profile companies such as Hostess, Kashi and Quaker calling for stores and consumers to pull popular products from their shelves and pantries because of listeria concerns. Listeria monocytogenes is a type of bacterium that, when ingested, can lead to a serious and potentially deadly infection known as listeriosis. A person becomes infected with listeriosis after eating contaminated foods—anything from uncooked meats to unpasteurized milk. According to the Centers for Disease Control, listeria infections are a public health concern—one that kills 260 people and sickens about 1,600 people each year. So far this June, the FDA has reported several more listeria-related food recalls. The attorneys at Edgar Snyder & Associates understand how devastating food poisoning can be, so we wanted to share some need-to-know information about listeria, as well as what to do if a product you have in your pantry has been recalled. Listeria affects mostly older adults, pregnant women, newborns and those with weakened immune systems. About one in seven cases of listeria infection occurs during pregnancy, which can cause miscarriage or stillbirth, or even premature birth. Pregnant women are about 10 times more likely to get listeria than members of the general population. About 58 percent of listeria infections occur among adults 65 and older. If you or anyone in your family has eaten a product recalled because of listeria concerns, be on the lookout for symptoms of infection—and if you are suffering from any of them, seek medical treatment as soon as possible. Save the packaging, receipt and UPC codes from any potentially contaminated foods—they can be tested for listeria and also be used to track any other contaminated products. 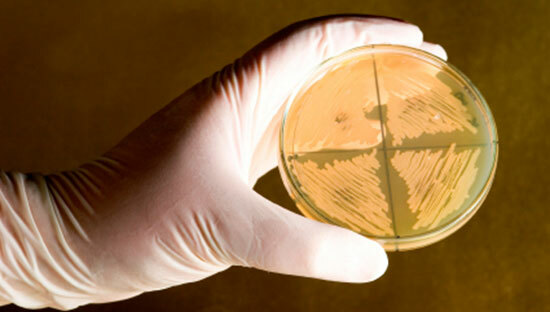 More information about listeria and food poisoning can be found on our website.